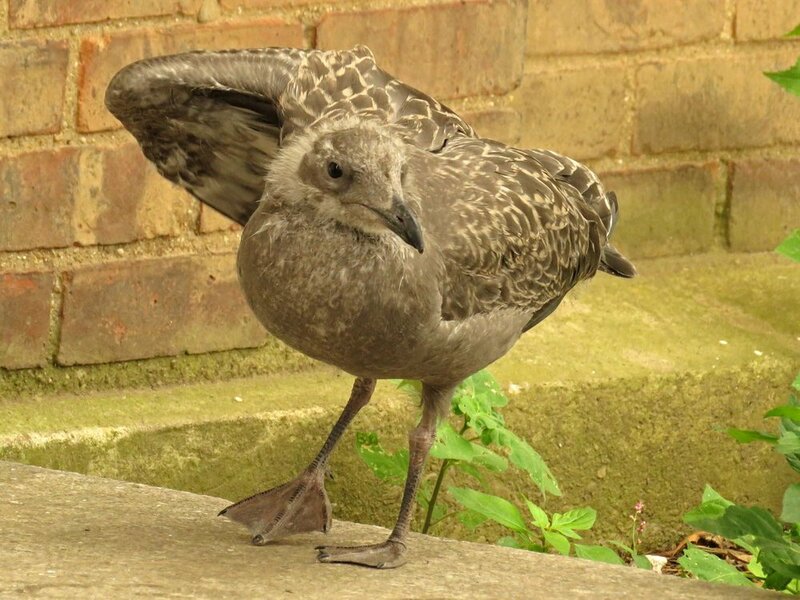 The gulls we see most often around here are the herring gulls (Larus argentatus), the gullest of gulls. 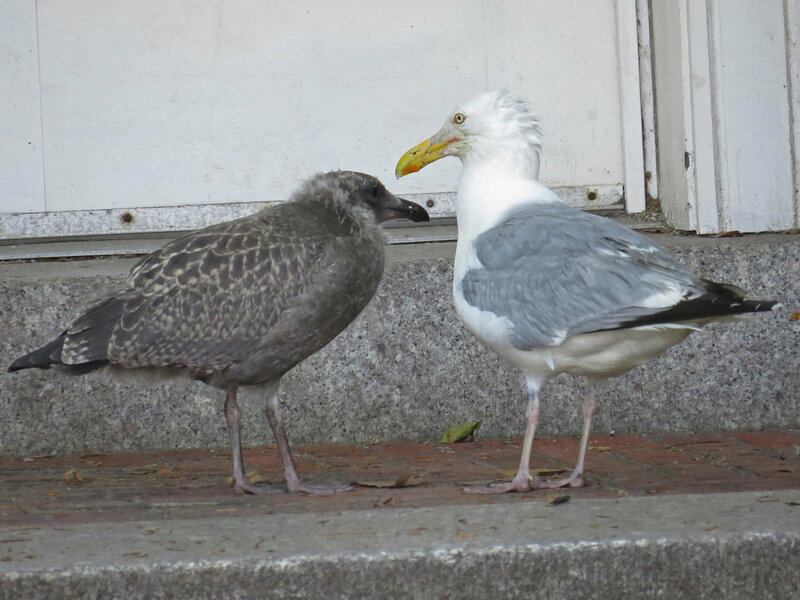 The herring gulls figured prominently in the photos and video from two trips to Governors Island: Aug. 6, 2017, when Mama Gull watches her two kids on the ground across from the Harbor School, and July 17, 2016, when I saw a young herring gull running around so fast my head was spinning. The parental supervision was also fun to watch. You can watch the Aug. 6 video on the Governors Island page, and the July 17 video below. The first group of photos below show Mama Gull and her kids neat the Harbor School on Aug. 6, 2017. 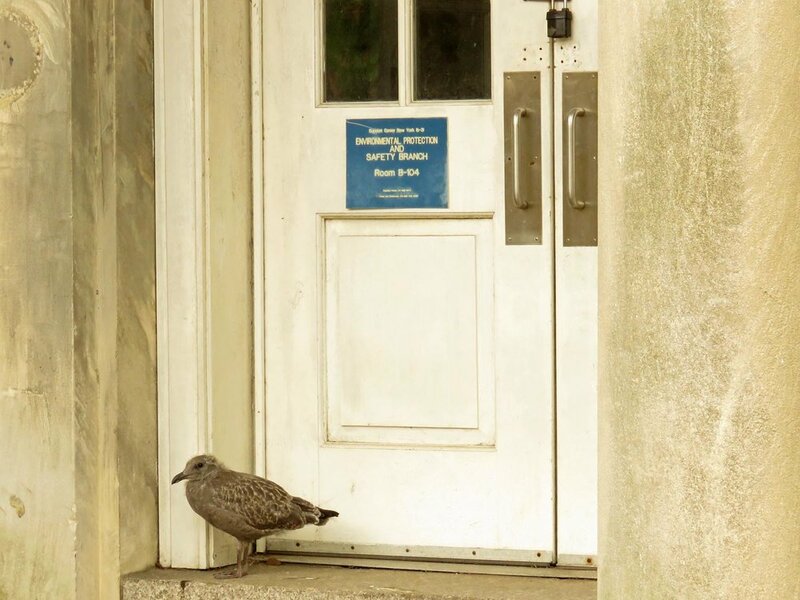 These photos show other herring gulls on Governors Island on Aug. 6, 2017. The gull mama and kid from 2016 on Governors Island. I visited Asbury Park, N.J., in January 2013 to Film Reds and Blues. In between takes I was able to film the gulls on the beach, and the result was The Sea Gulls of Asbury Park. I love the music. I've also filmed gulls at 125th Street and the Hudson River, as well as other places along the Hudson. The second film, A Seagull Takes Flight, was one of the first Silly Videos, shot in December 2012.